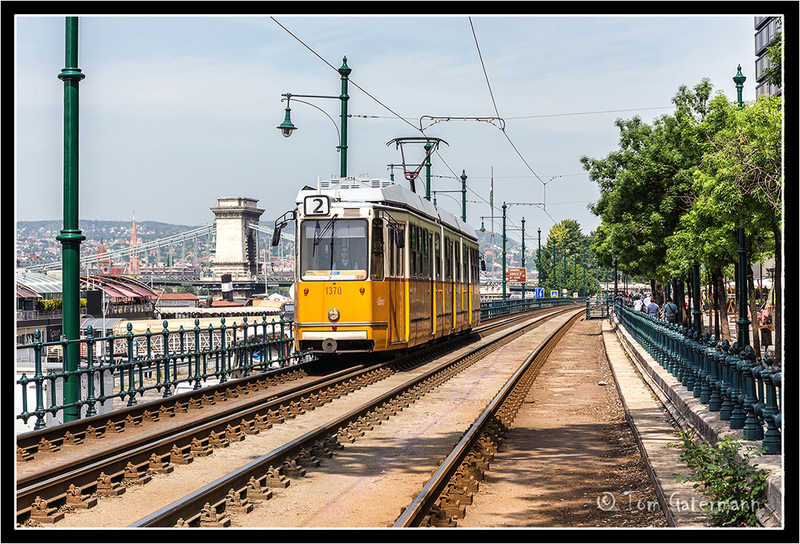 Budapesti Közlekedési Központ (Centre for Budapest Transport) tram 1370, operating on the Number 2 Route, rolls southwards along the Danube Promenade. In the background is the Széchenyi Chain Bridge. May 6, 2015. Budapest, Hungary. Looks like a nice place. Lovely streetcar and image. Thanks a lot Shelly. Yes, this was a really lovely area. I particularly liked the old fence that lined the tram line here. Added, what I think, is a touch of class to the tram line.